Lucy Labruzzo, Cordoba Corporation’s Senior Vice President of Energy Infrastructure has been invited to participate as part of a panel discussion at the California Public Utilities Commission’s (CPUC) 15th annual public hearing to examine the supplier diversity programs of California’s regulated utilities on Thursday, October 5, 2017, at the Sheraton Fairplex Hotel & Conference Center in Pomona, California. Ms. Labruzzo will be participating on a panel at 1:00 p.m. focused on how the CPUC’s supplier diversity programs affect the communities in which diverse businesses operate. CPUC President Michael Picker will moderate the panel discussion. Lucy is a Mechanical Engineer and Certified Energy Manager with over 25 years of experience in the gas and electric utility industry. Given her tenure as a manager with the New York Power Authority, an electric utility, as well as an executive at a global infrastructure engineering firm prior to joining Cordoba Corporation, she brings a unique perspective to this panel discussion. Cordoba Corporation is a statewide full-service ENR Top 50 Program Management Firm and Top 100 Construction Management-for-Fee Firm specializing in the delivery of infrastructure projects in transportation, education, water and energy sectors. 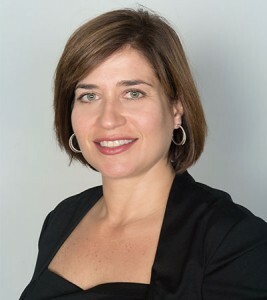 As Senior Vice President for Energy Infrastructure, Lucy serves as Principal-in-Charge leading the development and execution of engineering, design, technical services, permitting, safety, and construction management programs and projects supporting regulated gas and electric utility clients in California. For more information on the CPUC’s 15th Annual GO 156 Supplier Diversity En Banc and the CPUC’s Supplier Diversity Programs, please visit the CPUC’s Supplier Diversity Program Website.